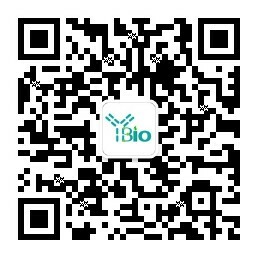 别 名 ARP5; AGF; Angiopoietin like 6; Angiopoietin like Protein 6; Angiopoietin related Growth Factor; Angiopoietin related protein 5; Angiopoietin-like protein 6; Angiopoietin-related growth factor; Angiopoietin-related protein 5; Angiopoietin-related protein 6; ANGL6_HUMAN; Angptl6; ARP5. Angptl6 (angiopoietin-like 6) is a 470 amino acid secreted protein that contains one fibrinogen C-terminal domain and is a member of the angiopoietin-like family. Expressed abundantly in liver and present at lower levels in testis, kidney, heart, brain and lung, Angptl6 plays a role in wound healing and is also thought to promote neovascularization and enhance the chemotactic activity of endothelial cells. Additionally, Angptl6 may be involved in epidermal proliferation, remodeling and regeneration and may be able to counteract obesity by increasing energy expenditure. Human Angptl6 shares 74% amino acid identity with its mouse counterpart, suggesting a conserved role between species. The gene encoding Angptl6 maps to human chromosome 19, which is the genetic home for a number of immunoglobulin superfamily members, including the killer cell and leukocyte Ig-like receptors, a number of ICAMs, the CEACAM and PSG family and Fc receptors (FcRs). May play a role in the wound healing process. May promote epidermal proliferation, remodeling and regeneration. May promote the chemotactic activity of endothelial cells and induce neovascularization. May counteract high-fat diet-induced obesity and related insulin resistance through increased energy expenditure.